This past weekend I finally finished putting together my latest collection of songs/audio experiments. 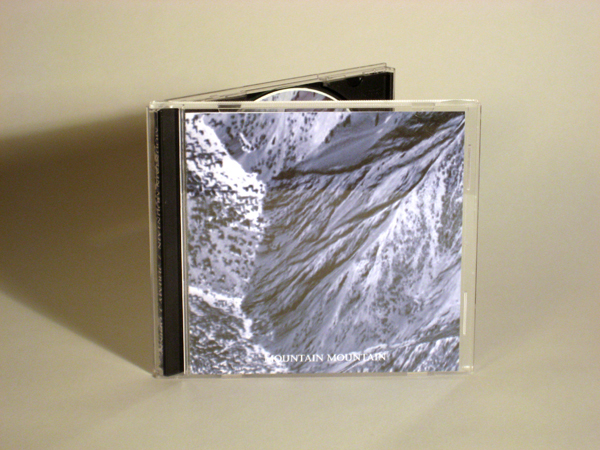 Mountain Mountain includes tracks from 2004-2009, some are soundtracks to video or installation works, others solo guitar performances or studio sound experiments using a handmade synthesizer, various small instruments, my trusty e-bow and layered delay effects. 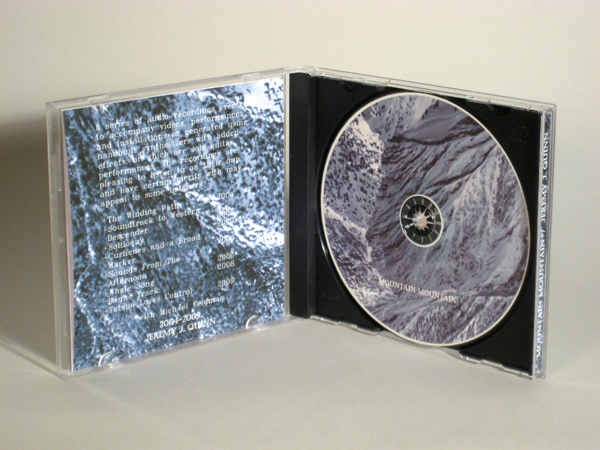 The CD is available as a first edition of 100, signed and numbered on the inside of the fold and made right here in the Rise Industries studios. Its super DIY, handmade music. 1.50 S&H for each additional CD. Payment accepted from either PayPal or credit card (with no need to sign in). I will be shipping these up until the 19th of December, then I will resume on the 5th of January, so if you order in between those dates it will take a little longer to get.